A Vigil for Human Rights! The chicken has been approved to be inflated on the Mall between Congress and the Monument April 11. 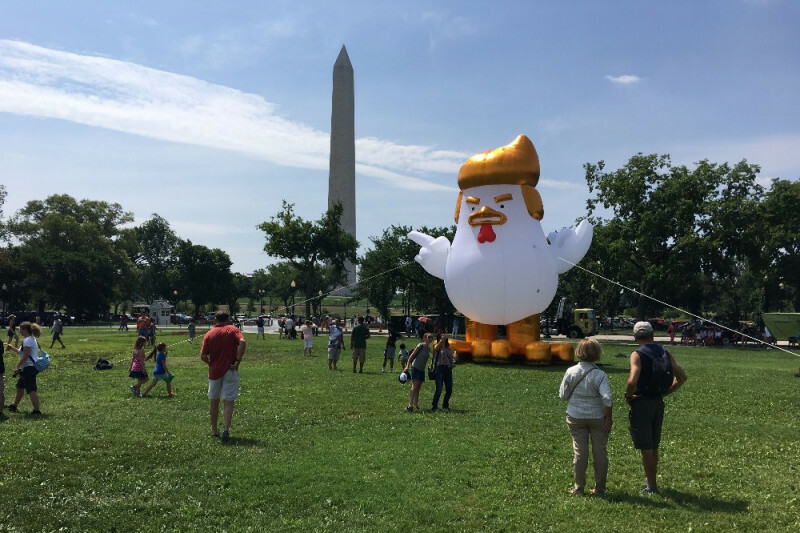 This will be the first time the 30' Chicken will be inflated in DC after its debut August 9th, 2017. The Squawk heard round the world! 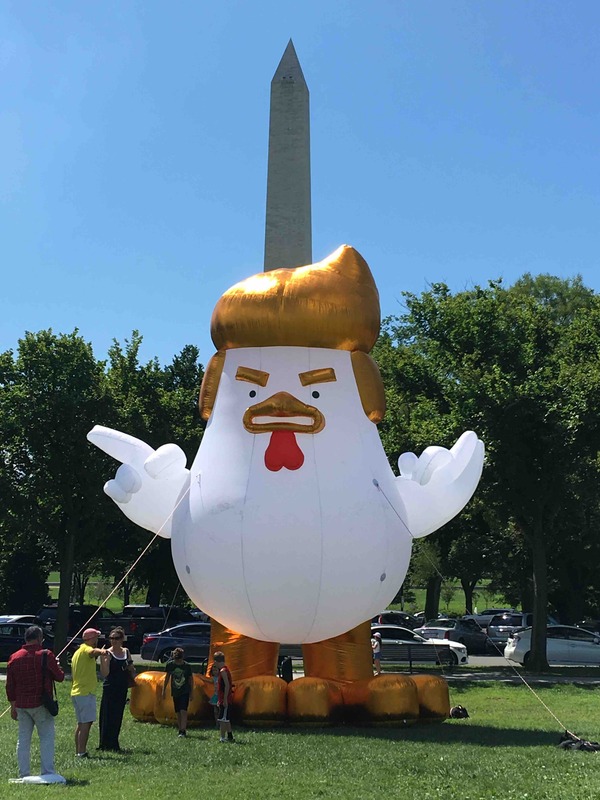 Hey everyone we have a permit approved to inflate the chicken on the National Mall between Congress and the Monument April 11. Please chip to make it a reality! $5 or $25 helps offset the costs of putting the piece up! We are talking to authorities for permits in September/October when the weather cools down and will announce the exact date and time when we get permitted. Stay tuned! Protect healthcare from Chicken Don!! Thanks - I heard your interview on Ian Masters. I appreciate you taking time to chase Trump with his look alike chicken. Thank you for your pointed humor in the midst of a time of crisis for our country. Great visual display. Great message!